We have used the Wanhao I3 in the studio for the past 6 months. Here are our thoughts. The Wanhao I3 is incredibly well priced amongst other printers of the same size. Costing only $400US, there is also the Wanhao Pro with a touch-screen interface, which will set you back $500US. 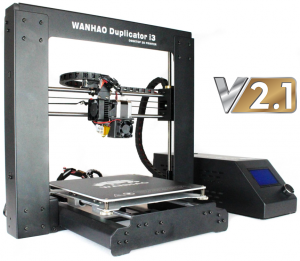 Our review is based on the original Wanhao I3 rather than the Pro version. To be honest, there isn’t much assembly to be done. The Kit comes pre-wired and in two main sections, the hot plate and the Z-frame. Simply bolt the two together plug it in and you’re away. We did not even have to glance at the manual, but we recommend you do just in case. If you are new to 3D printing this would be a very nice printer to get for this very reason. We have been quite pleased with the performance of the Wanhao I3 when it comes to print quality. We have used it recently to print out a lot of our display pieces for our recent Kickstarter. Just like our Prusa i3, we have run the Wanhao at a 2mm layer height and the detail that we get is still on par with the rest of our collection. Though not as fast to print as the Prusa it is not a slow machine, turning out a section of our new French farmhouse in 3 1/4 hours. Depending on the filament you might get minor striations on some of the models at this layer height but a light dab of chloroform or acetone depending on your filament will help smooth these ridges out. The Wanhao follows the same teachings of other I3 devices in that it puts function ahead of beauty. I do like the “tank tracks” that protect the wiring going from the extruder to the main power supply. This allows the extruder to move freely while making sure there is little to no possibility of getting the wires tangled or damaged. As far as print size goes, the bed is smaller than some of its competitors, measuring 8″ x 8″ x 7″ (20cm x 20cm x 17.5cm) with a volume of 7000cm3, but this is still large enough to print 100% of our collection in all its glory. One thing the Wanhao I3 has over its competitors is the addition of a non-slip mat on the print bed, meaning you do not have to re-apply any form of adhesive to the bed after every print. This results in a much more uniform performance than we have had with some of our other printers, I have yet to see the corner of a print lift on the Wanhao. One weakness both the Wanhao’s have is a lack of a self-leveling bed, meaning every 5-6 prints it will need to be checked to make sure that it is still running level. NOTE: Be careful not to drop rolls of filament on the floor once you have untied them. They can become tangled and will not reel off the roll properly. The Wanhao I3 is probably one of the best starter printers you could find on the market today. 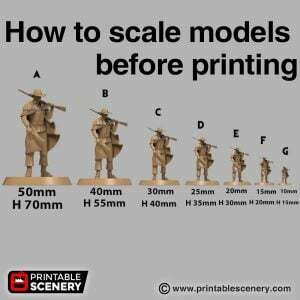 It is easy to assemble, prints beautifully and is incredibly cost effective. 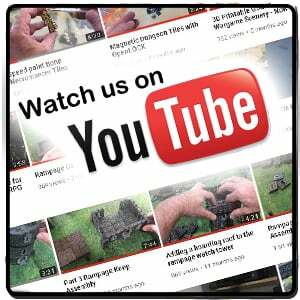 We are currently undecided whether the Pro series is worth the upgrade. The Pro does not add any easily compatible features like a self-leveling bed or a larger print volume. Its claim to fame is an easier to manage touch-screen system. Since we do not yet have one to test, as of the time of writing it is unreleased, we cannot comment further. The original I3 is a solid and dependable printer, and we would recommend it.